Many homes have hidden secrets that homeowners don't want guests to see. These spaces are dark, dingy bathrooms with outdated or chipped tubs. New Windows for America offers solutions for Minneapolis bathroom remodeling that can completely change the look and feel of your bathroom with innovative new tubs and shower products. Yes, remodeling your bathroom is an investment of time and energy. However, may not take nearly as much time or money as you may think. Our new showers and replacement tubs are durable products built to withstand the test of time – so many years down the road they will be free of chips, scratches and stains plus they won’t be outdated (unlike that almond tub and black toilet). The most common bathroom conversion is replacing a tub with a shower. After all, once the children are older and bath time is a thing of the past, the tub itself can be more of a nuisance than anything. Tub-to-shower conversions create a spacious walk-in shower in place of the old tub. For a growing family and those who enjoy a nice relaxing soak, shower-to-tub conversions place a bathtub, complete with shower, in your bathroom to meet the needs of your entire housheold. Why Invest in Bath Remodeling Services? You'll gain a beautiful new bathroom that is much easier to use. Naturally, the fixtures will be updated with modern designs that look attractive and offer additional features. For instance, we can provide accessories, such as a removable shower head, shower caddies, and in-shower seating. Barrier-free roll-in showers that offer no lip and optional built-in shower seats, ideal for wheelchair access. Innovative walk-in tubs allow for greater independence as deep soaker bathtubs with doors, seats, jets and other comforts. Your experience with bathroom remodeling in Minneapolis will go as smoothly as possible with the guidance of our bathroom designers. They'll analyze your existing layout and help you come up with a functional, appealing reconfiguration. You don't have to be ashamed of your bathroom any longer. Show off that lovely space with help from New Windows for America. 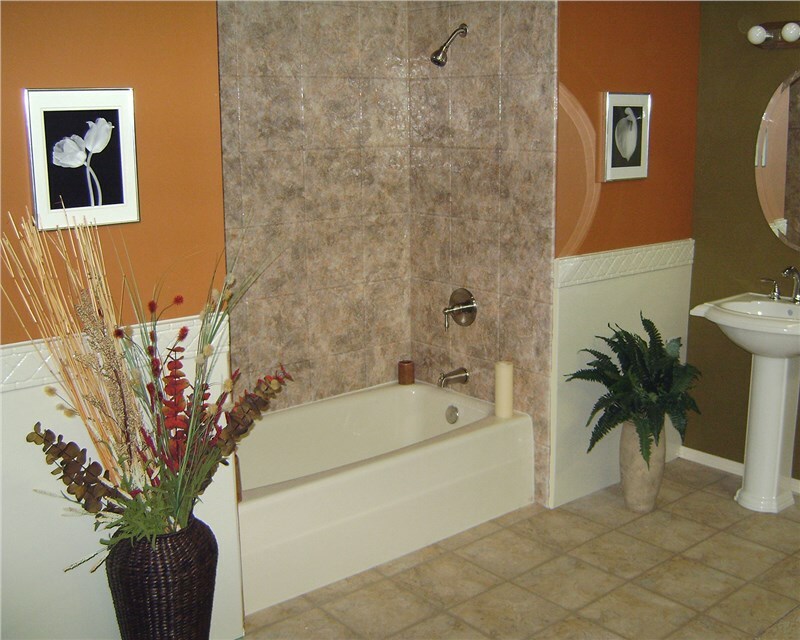 We'll provide you with speedy Minneapolis bath remodeling services that can be completed within as little as one day! Plus, our limited lifetime warranty helps protect your investment in the perfect bathroom. To find out more about our services, give us a phone call or fill out our online form today.